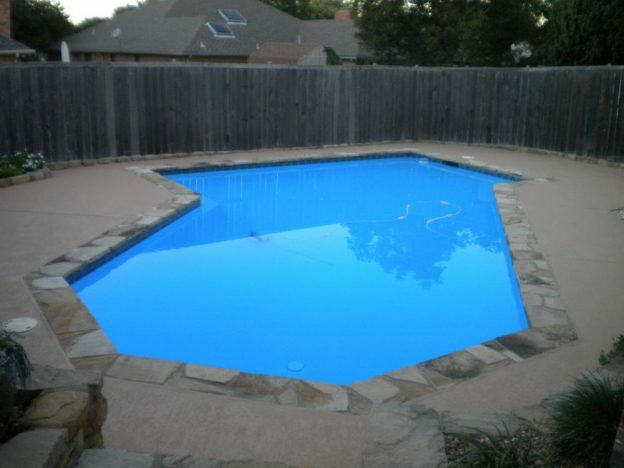 Carrollton TX Pool Deck Resurfacing Job - Texas Fiberglass Pools Inc.
Texas Fiberglass Pools Inc. worked with this Carrollton, TX homeowner to choose the perfect color blue for fiberglass pool resurfacing to make this older pool look brand new. 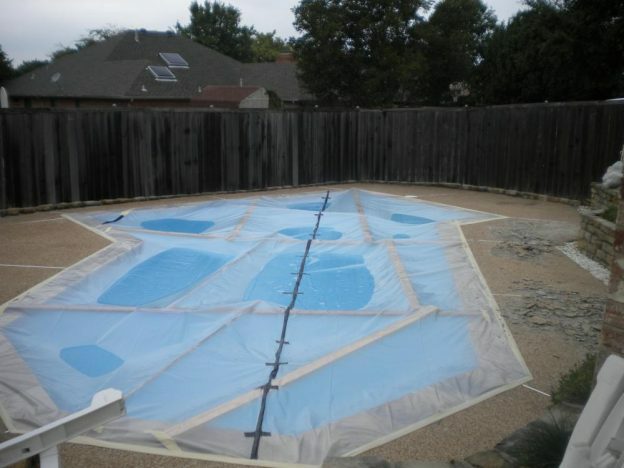 Fiberglass resurfacing can help with pool crack repair as well as cover up cosmetic spider cracks. The pool deck was resurfaced with a texture chosen by the client that created a back yard environment that not only is beautiful but also adds value to the home!